Jeppesen recently introduced key enhancements to Jeppesen Operator, a new online business aviation platform that integrates key business aviation functionality in a ‘one-stop shop’ self-service environment. Available for pilots and operations staff through the cloud, a new iOS-based companion mobile app for Operator – “Personal Assistant” is also now available that allows flight crews to access essential Operator data and capabilities on the go. 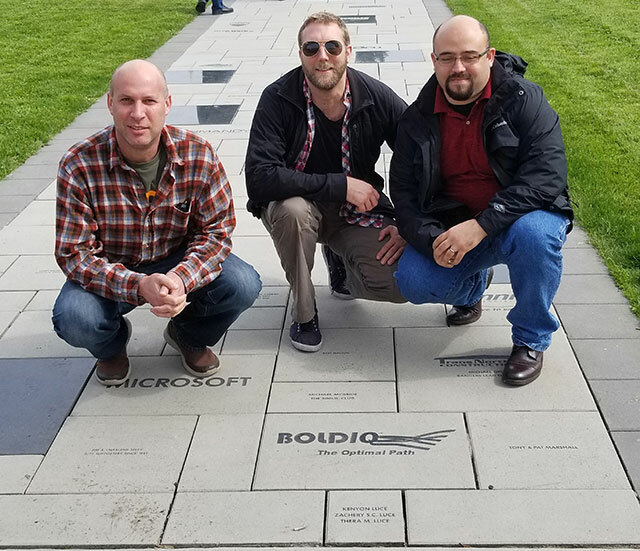 Jeppesen and leading optimization and operations management software provider, BoldIQ, have teamed together to bolster Operator capabilities with scheduling and management functionalities, driven by advanced optimization algorithms. Operator combines Jeppesen’s 40-years of experience with flight planning and international trip planning with BoldIQ’s 10-plus years of aviation on-demand flight operations and optimization experience, into a single, united user platform. Future Jeppesen Operator enhancements will utilize BoldIQ scheduling optimization capabilities to deliver enhanced flight operations functionality. In writing the cover story for the May/June 2017 issue of APICS magazine, I had the pleasure of exploring some of the latest transportation technologies, including drones and automated trucks. Some analysts think that these new vehicles could be fulfilling their own transportation and distribution niches as soon as five or 10 years from now, which could change the industry in many ways. However, one of the limiting factors to this speed of implementation is acceptance by society. “Technology often moves at a rate that’s much faster than society, business, politics or regulations are able to keep up with,” says Matt McLelland, innovation lab research manager at Kenco. As a result, people often are hesitant to integrate new technologies into their worlds. For example, people are concerned that drones could invade their privacy or that people on the ground could interfere with their flight paths, he points out. Because these vehicles fly overhead, consumers also have expressed concerns about drones or their packages falling out of the sky and hurting someone on the ground, explains McKinsey & Company in its September 2016 report “Parcel Delivery: The future of last mile.” Plus, because these aerial vehicles will be visible to consumers in their yards and in their neighborhoods, this technology will be a frequent reminder of the shift from current norms. Despite these concerns, McKinsey & Company found that 60 percent of survey respondents in China, Germany, and the United States say they are either indifferent to or prefer drone delivery. As I outline in the APICS magazine article, drone delivery offers quite a few benefits. One will be the ability to deliver goods to hard-to-reach places faster, which could actually make these vehicles enticing to both consumers and delivery professionals. Similarly, automated trucks are bringing up some safety concerns as well, points out Roei Ganzarski, CEO of BoldIQ, a last-mile optimization software company. When automated truck accidents happen, people will be inclined to blame the technology, which will slow the progress of implementation, he says. I’m sure people were skeptical when trains, automobiles, buses, trucks, and airplanes first made their debuts, but now it’s hard to imagine life without these conveniences. I believe that, like their predecessors, drones and automated trucks are worth a try, and it will be exciting to see how these vehicles take on their own roles in the transportation and distribution landscape. Textron Aviation has ceased production of the Citation Mustang due to low demand, but that’s not slowing Bernhard Fragner’s success with the VLJ in Europe. The founder and CEO of Linz, Austria-based air taxi operator GlobeAir reports a 14+% surge in VLJ departures from March 2016 to March 2017 compared to the year earlier. This follows GlobeAir’s 22% growth in VLJ air taxi operations from 2015 to 2016. First quarter 2017 saw especially strong growth, averaging nearly 17% more demand than first quarter 2016. This, at a time when demand in Europe for larger charter remains flat compared to last year. 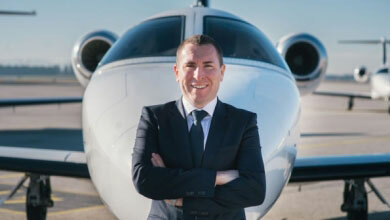 Fragner, among other European air taxi operators, saw the potential for VLJ air charter a decade ago. It has increased markedly in the past few years. Fragner points out that the average mission in Europe is 1.5 hr. and the average passenger load aboard his aircraft is 1.4. Occasionally, GlobeAir’s Mustangs carry four passengers. GlobeAir (Booth C64) now operates 18 Mustangs. Having reached critical mass with the type, the firm now permanently bases aircraft at Luton and Biggin Hill near London, plus Le Bourget, Geneva and Nice, along with Zurich and Munich. 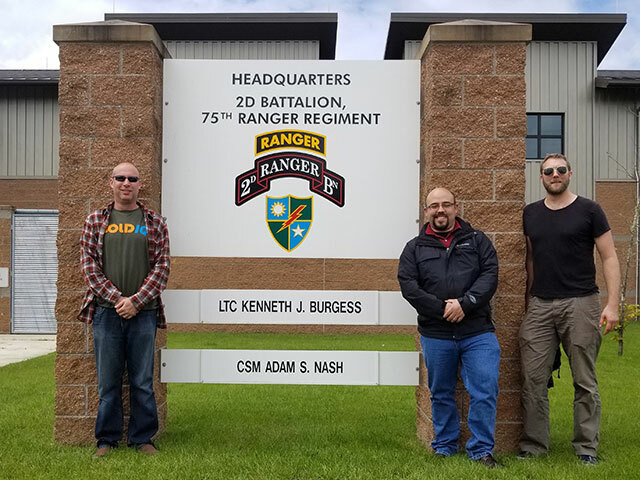 Today, some of the BoldIQ team members were privileged to go on base to visit the soldiers of the 2nd Battalion of the 75th Ranger Regiment. 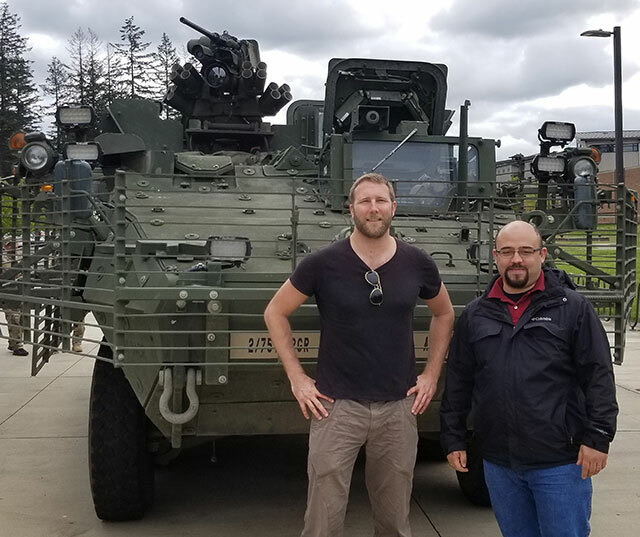 We got a briefing from the battalion commander, got to spend time with some of the soldiers during their day-to-day life (while not on deployment), and were shown some of the gear and equipment used in the field. These are some of the country’s best…a well deserved title. In the last two centuries, planes, trains, and commercial trucks changed the distribution industry and improved the way goods are transported. Now, a new era of innovation is ushering in a second generation of these delivery vehicles, namely drones, hyperloops, and automated trucks. Like their predecessors, each has the potential to reshape the transportation and logistics industry with new capabilities and efficiencies. Although these technologies are mostly in the testing phases, each new vehicle shows promise in its own, niche area of the delivery landscape to ultimately complement both new and existing options. In the past 14 months, tests by Amazon, Domino’s, Maersk, UPS, and others have shown the possibilities for drone deliveries in hard-to-reach places and less-populated regions. Last fall, UPS partnered with drone-maker CyPhy Works to conduct trial deliveries of packages to such locations. In September, the two companies staged a mock delivery of an asthma inhaler from Beverly, Massachusetts, to Children’s Island, Massachusetts, which is approximately 3 miles off the Atlantic coast. Jerome Ferguson, director of autonomous systems at UPS, deemed the test a success, noting that drones can provide critical services in crisis-response deliveries. On the commercial side, Matt McLelland, innovation lab research manager at Kenco, argues that it makes the most sense to utilize drone delivery when it offers a clear advantage compared with other methods. “If you’re delivering a 5-kilogram package in the middle of nowhere because some guy lives on top of a mountain, and there’s a little dirt road, and a UPS truck would take an hour to get to the top of that mountain, and a drone can fly there in 10 minutes, I’d say the drone has an advantage,” he explains. A similar situation in France propelled international parcel delivery company DPDgroup to use drones to deliver small packages to difficult-to-access locations. “In France, many villages are isolated in the mountains—some are even inaccessible during winter—and we also have small islands, so we have a lot of opportunities,” explains Executive Vice President Jean-Luc Defrance. After two years of testing, the Aschaffenburg, Germany-based delivery firm received authorization from France’s Directorate General for Civil Aviation (DGAC) to make drone deliveries along a regular, 9-mile route. Once a week, DPDgroup’s drone flies itself along a pre-planned path from Saint-Maximin-La-Sainte-Baume to an isolated business incubator in Pourrières to service technology companies in the area. In order to comply with DGAC provisions, a pilot follows the drone route on a screen and is able to take control of the drone’s engine at any stage of the journey. DPDgroup’s drone is capable of flying approximately 9.3 miles at a cruising speed of about 19 miles per hour while carrying roughly 3.3 pounds of cargo. Weather is rarely a limiting factor for these deliveries, as long as the wind speed is less than about 19 miles per hour and it isn’t storming or hailing, Defrance says. At both ends of the route, delivery terminals secure the landing, takeoff, loading, and unloading phases of the process. Because of drones’ speeds and abilities to reach isolated locations, they enable delivery companies to offer a new service to their hardest-to-reach customers via same-day and time-window delivery of small items. “In rural areas, it’s expensive to deliver within a specified time window or same day,” according to McKinsey & Company’s September 2016 report “Parcel Delivery: The future of last mile.” The report goes on to say that drones are surprisingly cost-competitive in rural areas, at only approximately 10 percent more than the cost of typical delivery models. If used just for this purpose, drone deliveries could make up 13 percent of anything-to-consumer deliveries by 2025. This equates to approximately 500 million items in Germany alone, McKinsey & Company reports. For the United States, this would require a fleet of 250,000 drones. Of course, there are limitations to this delivery method as well. Again, drones are vulnerable to weather, and most have a relatively small weight limit of about 11 pounds or less, McKinsey & Company points out. Plus, the drones that are designed to fly long distances at a low cost are big and require landing areas of about 22 square feet, which is less feasible in urban areas but possible in rural environments. In addition, battery capacity—which usually lasts for 12–18 minutes of flight time—limits how far a drone can travel, McLelland says. As such, DPDgroup’s drone’s battery needs to be changed in Pourrières before the drone can make its return trip, Defrance notes. However, one of the biggest challenges to drone progress is regulations, McLelland points out. In the United States, for example, drones must remain in the sight of the operator. This severely limits companies’ capabilities to use drones for last-mile deliveries in the United States and is one of the reasons why many companies are conducting drone trials abroad. In spite of this, McKinsey & Company predicts that drone deliveries could become commonplace in developed nations within the next 10 years. A hyperloop system—as imagined back in 2013 by Elon Musk, founder, CEO, and chief technology officer of SpaceX, among other roles—is made of two steel tubes welded together in a side-by-side configuration to allow for two-directional traffic. These tubes are supported by pylons and equipped with solar panels to help power the system. Inside the partial-vacuum environment of the tubes, vehicles known as pods are propelled by linear-induction motors and supported by low-friction air bearings that use a compressed air reservoir and aerodynamic lift. Lower cost: Hyperloop transportation will be priced at a lower rate than air freight, Gendron says. In addition, he estimates that installation costs are on par with those of the high-speed rail industry, at approximately $18 million–$24 million per mile. Reduced fuel consumption and emissions: Transpod’s system is designed to run on renewable energies, including self-sustaining solar power, thereby reducing emissions and eliminating the trans-portation mode’s dependency on fuel. By comparison, high-speed rail requires electricity, and cars, trucks, and planes require fuel. Fewer weather delays: The self-contained, low-pressure tube envi-ronment of hyperloop systems is impervious to weather delays. Of course, hyperloops have their limitations as well. For example, size could be a constraint, according to the US Department of Transportation’s July 2016 report “Hyperloop Commercial Feasibility Analysis.” The hyperloop tube needs to be three or four times the size of the pod. Therefore, in order to accommodate a pod carrying a standard 10-foot by 10-foot by 40-foot container, the tube diameter needs to be fairly large, which might not always be feasible. Also, cargo weight limits, which have not yet been determined, will restrict the types of cargo that can be shipped via hyperloop. At present, TransPod is targeting a 10-ton pod capacity, Gendron says. Beyond working out any technical details, the next steps will be addressing infrastructure and, as with drones, regulations. Still, hyperloop companies are pushing full speed ahead toward implementation. HTT currently is conducting research and development projects in Toulouse, France; Brno, Czech Republic; Abu Dhabi; Bratislava, Slovakia; and Quay Valley, California. TransPod expects to have a commercially viable product available by 2020. While hyperloops can help with high-speed, between-city distribution and drones can facilitate deliveries to rural and difficult-to-reach locations, automated trucks can help handle the opportunities in between. 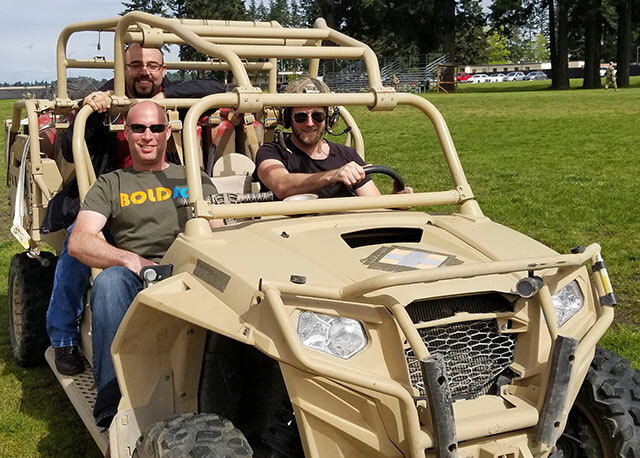 “When you are looking at long distances across highways, the driverless truck will be a huge benefit,” says Roei Ganzarski, CEO of BoldIQ, a last-mile optimization software company. He notes that this type of vehicle has more flexibility than a hyperloop because it can travel to different buildings and depots, rather than only to and from specific stations. Otto, a subsidiary of Uber, conducted a high-profile demonstration of this technology last October. Otto’s self-driving commercial truck hauled Budweiser beer more than 120 miles on the highway from Fort Collins, Colorado, to Colorado Springs, Colorado. A licensed driver was on board to handle the non-highway driving and to guide the vehicle onto and off of the highway but then only had to monitor the truck from the sleeper birth, as the driving automation system handled all of the highway driving functions. Even though this automation concept may be new to on-theroad vehicles, similar technology already is being used on planes and ships. Pilots and captains handle the more difficult parts of the trip, such as takeoff and landing or entering and exiting a harbor, but an automated system and sensors control the tasks in between. Some of the systems and technology used in automated trucks— including adaptive cruise control, active brake assist, and lane-keep assist systems and cameras—also are commonly used in passenger cars, points out Sean Waters, director of regulatory affairs and product compliance for Daimler TSS. Here’s how the system works: As soon as the truck is started, its camera system begins monitoring road conditions. Once lane markings on the highway are detected, the driver is able to engage the driving automation system. In this mode, the truck autonomously stays in its lane and maintains a safe following distance behind the vehicle in front of it. If the vehicle ahead of it slows down or brakes, the truck does the same. While on the highway, the driver only needs to take over if the lane markings become illegible to the camera system—whether because of deterioration or inclement weather—or if the driver would like to change lanes or exit the highway. If the truck determines the driver needs to take over, an escalation scheme involving visual, audible, and haptic feedback mechanisms alerts the driver, and a countdown sequence prompts him or her to retake control. The reduced stress of the job coupled with the new, high-tech aspects of the role could make the truck-driving profession more attractive to younger, more digitized drivers, who could help fill the industry’s talent gap, PwC suggests in its 2016 report “The Era of Digitized Trucking.” The American Trucking Associations reported a shortage of 48,000 drivers in 2015, and this is only going to worsen as the current population of drivers ages into retirement, Waters notes. The two other main benefits of this technology are safety and reduced costs. The US National Highway Traffic Safety Administration reports that nearly half of all fatalities happen on highways, and 94 percent of accidents are caused by human error. Taking the human out of the equation, or at least reducing the human’s role, will reduce the accident rate. The number of accidents caused by mechanical breakdowns also will be reduced because the system will constantly monitor the mechanical systems and alert the driver when repairs or preventive maintenance is needed. Plus, the technology adds efficiency to the acceleration and braking processes, thus reducing fuel use and emissions. Although exact cost savings are not discernable at this point, PwC estimates that fleet owners could save $19,000–$36,000 a year per truck, depending on regulatory changes and the stage of automation utilized. PwC predicts that the development and implementation of automated trucks will come in stages. “Within the next 10 years, drivers may not be needed in long-haul trucks anymore, but will continue to take over trucks entering urban areas … and for local deliveries,” it states. As these new solutions are further developed and tested, experts stress that these technologies will not replace existing modes of transportation. Instead, they will enable the transportation and distribution industries to unlock efficiencies in specific areas and explore new distribution territories. Drones will enhance the industry’s ability to deliver to hard-to-reach locations, hyperloops will speed up the time it takes to traverse countries and continents, and automated trucks will digitize the trucking industry to reduce the stress of highway travel for human drivers. With these new options, the transportation and logistics industry will be able to increase the speed and ease with which goods are shared and create an ever-more connected world. Can Competitors Survive If Amazon Enters the Logistics and Transportation Industry? Amazon recently unveiled plans to build a $1.5 billion air cargo hub at the Kentucky airport to accommodate its growing fleet of Prime delivery jets. Similar to the way Amazon initially developed AWS to meet its own cloud needs, then offered it to the public, this initial cargo hub is probably only the tip of the iceberg for Amazon delivery offerings in the future. How will this affect the traditional transport and delivery giants like FedEx, DHL and UPS, the mega-retailers, and the users of these services? When Amazon, one of the largest retailers and movers of goods, chooses to move transportation and delivery in-house instead of outsourcing to other carriers, it eliminates business as usual with today’s supply chain businesses and impacts the way the third-party carriers plan for future growth. Traditional carriers can no longer ‘rest on the laurels’ of their previous successes. They will have to look for ways to provide more value, including better reliability, efficiency, speed and convenience, to their customers at a lower cost. This will be challenging for companies that aren’t as dynamic and innovative as Amazon and perhaps culturally, aren’t willing or able to take risks like Amazon. Carriers won’t be the only businesses that will be forced to evolve if Amazon’s expansion into transportation and logistics comes full circle. Retail giants are already investing in providing an improved delivery experience for the on-demand economy. Back in the day, Wal-Mart did some amazing first-of-its-kind practices from how they managed stock in their warehouses and stores vis-a-vis their suppliers, to using jets to efficiently move management around. Many competitors then followed suit. Now Wal-Mart is the one following Amazon, further evidenced by its recent acquisition of Jet.com and clothing line, ModCloth. What’s more, Wal-Mart is now trying to ‘one up’ Amazon on its two-day shipping by offering it for free with no memberships fees. Nordstrom, the epitome of in-store (brick and mortar store, of course) customer service, tried to get in on the online trend, but had much less success than they had hoped, recently laying off a significant part of the tech team. This is just a small sample of what is yet to come. These moves are creating an environment ripe for innovation, convenience, higher value and service levels, where it was once not possible. All this competition and innovation creates opportunity and increased demand for companies supporting the transportation and logistics industry. Manufacturers of airplanes (Boeing got the 767 deal for Amazon’s Prime Air), trucks, drones, bots, pallets, dollies, loading equipment, cargo tracking, uniform makers…and the list goes on. Individuals and businesses shipping packages will also benefit. If Amazon enters the shipping industry, businesses will now have another great option to select from when shipping their packages and goods. Moreover, this new entrant will force moves toward higher levels of efficiency at lower costs at the other carriers as well. Thus, shippers (be it companies or consumers) will benefit. So, is it likely we’ll see Amazon enter this market and drive change? If the evolution of AWS is any indication, yes. Amazon created AWS to address its own cloud needs. Prime Air and the new cargo hub will work to solve Amazon’s fulfillment and logistics needs, but are easily extensible to future ecosystem players in the supply chain. The Kentucky airport is nicely positioned for this due to location and potential reach. When setting up a hub of this size, with potential growth projections, an airport that is conveniently located to fly short and long distances is a plus. It needs to be easily accessible both by air (an uncongested or less congested airspace) and by ground (so that trucks and vans can easily and quickly access the hub). Following Kentucky, we may see Amazon open a similar hub somewhere in Asia to accommodate the amount of cargo they ship from the region. China, Vietnam or another key manufacturing arena would be probable. After establishing the two initial hubs and officially entering the logistics and transportation industry as a provider, Amazon may look to expand across the U.S., Asia, Europe and other regions as they grow. The on-demand economy means customers expect instant gratification via immediate access and convenient delivery options. Companies must adapt and start optimizing their supply chains to stay competitive. Leverage real-time data. Data is key to providing valuable insights into what is working in the supply chain and what can be improved. Analyzing data in real time can help answer the most critical question: ‘What do I do now?’ Dynamic real-time optimization of the supply chain enables companies to use data to make rapid decisions and create actionable plans by taking all aspects into account. For example, a same-day grocery delivery service may have extra delivery trucks on standby, ready for an influx of orders, to ensure it meets ad-hoc demand and delivery timeframes. Or alternatively it tries to ‘box’ its delivery schedules with large time windows to allow more perceived flexibility. This model is not sustainable. What if the company’s supply chain was optimized to handle random ad-hoc same-day orders, completing all the deliveries with fewer trucks within accurate time windows? Leveraging data with dynamic real-time optimization, companies can consider all factors and determine what truck should take new deliveries while also keeping the rest of its previously scheduled orders on time. Optimize staff. Having the right person at the right time is crucial for employers. Many organizations often understaff, overstaff, or assign one person to a task when another is better suited, impacting productivity and customer service. Just as a company may overbuy delivery trucks to have on hand for surge times, it also tends to have more employees than necessary for the same reason. Companies can do more with fewer employees if they properly identify the inefficiencies and constraints. With interruptions to staff availability, changing shift schedules and demand, as well as regulatory and operational constraints happening each day, businesses must be able to quickly adapt. Resource optimization can adjust accordingly and also take into consideration issues such as required breaks, logical shift planning, and who can best cover when an employee calls in sick. Prepare for disruptions. Being able to adapt to any disruption keeps a business operating smoothly and efficiently. No matter the size of the disruption, the financial impact can be severe for a company with a supply chain that isn’t optimized and prepared to react in real time. The key is making the supply chain nimble and able to react quickly with an actionable plan when (not if) a disruption occurs—mitigating as much risk and financial loss as possible. If businesses leverage data to its fullest potential, converting it in real time to actionable operating plans, they could see a significant reduction in operating costs and resources, while also increasing customer satisfaction and improving the bottom line. Amazon recently unveiled plans to build a $1.5 billion air cargo hub at the Northern Kentucky airport to accommodate its growing fleet of Prime delivery jets. Similar to how Amazon initially developed Amazon Web Services to meet its own cloud needs and then offered it to the public, this move may only be the tip of the iceberg, first addressing its own fulfillment/logistics needs, but easily extensible to future ecosystem players in the supply chain. ID: How would you compare how Amazon developed Amazon Web Services to how it is developing its own Prime air delivery? Roei Ganzarski: I, of course, am in no position to speak for Amazon or why they do things. With that said, as an outside observer, AWS was initially set up to handle all of Amazon’s own internal needs. When they saw the power, quality, and potential of what they had for their own needs, they then offered it externally so that others could benefit as well. This is actually very logical and other companies have gone through the same roadmap. Amazon has now established its first aviation cargo hub to handle its own needs. It would not be a stretch to envision a not too distant future in which Amazon sees the power, quality, and potential of what they have, and offer it externally to any and all companies with cargo needs. Roei Ganzarski: Geography, airspace and ground space and cost are key factors. When setting up a hub of this size, with potential growth projections, an airport that is conveniently located to fly short and long distances is a plus. But that is not all. It needs to be easily accessible both by air (an uncongested airspace) and by ground (so that trucks and vans can easily and quickly access the hub). And, of course, having it be affordable is very important. Bottom line, this location makes perfect sense as you would not expect to see this type of setup in a popular, crowded, major hub. At least not initially for internal use. ID: Do you see this as being Amazon’s only U.S. air cargo hub for a while, or do you envision them establishing others – perhaps one on the west coast? Roei Ganzarski: I personally believe we will see Amazon opening a similar hub somewhere in Asia. With the amount of cargo they ship from Asia, it would not surprise me to see them setting up their own cargo operations there. Perhaps China, Vietnam or another key manufacturing arena. Then, I would expect additional hubs to be setup across the U.S. and Asia followed by Europe and other regions as they grow. Roei Ganzarski: When one of the largest movers of goods (Amazon) decides to move transportation and delivery in-house vs outsourced to other carriers (UPS, FedEx, USPS, DHL, etc), it always impacts those carriers. When you project into the not-too-distant future, in which Amazon may in fact compete with these very same carriers, this becomes a real challenge the carriers have to start planning for. They can no longer ‘rest on the laurels’ of their previous success. They will have to look for ways to provide more value to their customers. More reliability, more speed, more convenience, all at a lower price and cost. Roei Ganzarski: First and foremost, anyone shipping packages will benefit. Shippers will now have another great option to select from when shipping their packages and goods. Moreover, this new entrant will force moves toward higher levels of efficiency at lower costs at the other carriers as well. Thus, shippers (be it companies or consumers) will benefit. Naturally, anyone supporting Amazon in their endeavors will most likely gain as well. Manufacturers of airplanes (Boeing got the 767 deal), trucks, drones, pallets, dollies, loading equipment, cargo tracking, uniform makers…and the list goes on. ID: How do you see this development by Amazon impacting other major companies like Alibaba, Walmart or Home Depot? Roei Ganzarski: Innovative visionary companies drive growth and progress in their own industries and in industries around them. Back in the day, Wal-Mart did some amazing first-of-its-kind revolutionary things from how they managed stock in their warehouses and stores vis-a-vis their suppliers, to using jets to efficiently move management around. Many then followed suit. Now Wal-Mart is the one following Amazon. For example, Wal-Mart is now trying to ‘one up’ Amazon on two-day shipping and offering it for free with no memberships fees. This is just a small sample of what is yet to come. These companies are creating an environment ripe for innovation, convenience, higher value and service levels, where it was once not possible. From aircraft scheduling to weight and balance, business jet operators have numerous concerns to address before, and after, a flight, and real-time access to information is becoming ever critical. Enter Operator, a collaboration between Boeing’s Jeppesen and operations management software provider BoldIQ. Built for pilots and operations staff and available through the cloud, Operator integrates key business aviation functionality in a ‘one-stop shop’ self-service environment. That means flight planning, runway performance, weight and balance, crew management, aircraft scheduling, domestic and international trip planning and reporting (financial, maintenance and customs), customer account management, real time pricing and cost accounting capabilities, can all be managed through one interface, over the cloud and on any device. Operator combines Jeppesen’s 40-years of experience in flight and international trip planning with BoldIQ’s over 10 years in aviation on-demand flight operations and optimisation experience, into a single, united user platform. Jeppesen says the improvement in data sharing, resource utilisation and simplification of access and usability are all backed by proven technology. Operator seamlessly integrates scheduling, crew and fleet management, customer account management, real-time pricing and cost accounting, all driven by advanced optimisation capabilities, says Mike DiDonato, director, Industry Services, Jeppesen. When using the Concierge service with Operator, customers can connect with Jeppesen’s International Trip Planning (ITP) global experts for assistance with traditional ITP tasks such as managing flight plans, permits, handling arrangements, customs issues or to establish a line of credit to eliminate operational financial concerns that could jeopardize a planned flight. Airport, FBO, and vendor data for Operator systems is generated by the Jeppesen Aviation Database, which Jeppen says is the most comprehensive in the industry. Pulling together all of these essential business aviation elements also requires the need for ensuring compliance with regulatory and business policies and procedures. And Operator uses multiple rules engines, including those unique to a customer’s operations, to satisfy this need. Operator ensures regulatory and business policy and procedure compliance using multiple rules engines, including those unique to a customer’s operation, to provide a custom trip check list. Automatically generated, it provides insight into the requirements for each trip and determines if additional resources are needed. This process enhances situational awareness and assures the trip will be released for flight. Looking ahead, Operator will integrate with mobile apps in use by operators for navigation, electronic flight bag, and pilot operational interaction capabilities, integrating planning and operations systems in an end-to-end digital management solution. The company also provides a mobile crew portal that will soon be integrated into Jeppesen charting and Boeing Electronic Flight Folder applications. This will create further operational efficiencies across common systems. Additionally, new features and functionality are in the works for Operator, including new disruption management capabilities developed with BoldIQ and a new app platform that will further drive business aviation efficiency. When we all talk about smart cities we are, of course, overlooking something important. Not everyone lives in a city. One company is working to redress this imbalance. Here, Jeremy Cowan of IoT Now talks to Roei Ganzarski, CEO of BoldIQ. IoT Now: The growing smart cities revolution has been heavily covered in the news lately. What about rural areas? Roei Ganzarski: Although smart cities usually steal the spotlight, the smart rural area is a trend tech-savvy readers should be following as well. Our cities are heavily congested, but remote areas where population is more sparse present room for optimisation as well. For example, the on-demand trend is more difficult to execute outside of the densely-populated metro areas because sending a driver with a car on a two-hour drive to deliver a single package in a rural community will burn through the driver’s time, gas and wear away at the delivery vehicle. The solution to the inefficiency in rural-area deliveries is removing the human factor altogether. How? Think drones and autonomous vehicles. First and foremost, drones and autonomous cars are efficient, low-cost and timely. Implementation of next generation technologies like driverless cars, trucks and drones will help make deliveries, even in sparsely populated areas, more efficient. IoT Now: What differences in technologies will we see in smart cities v. smart rural areas? RG: Contrary to popular belief, rural areas will implement autonomous vehicles and drones before metro areas. Congestion and parking of metro areas will only complicate the successful use of driverless vehicles, making the sparsely populated rural areas more attractive for early implementation and testing. We’ll see small bots make short distance on-demand deliveries within large cities and drone deliveries and autonomous trucks and vans hauling goods long distance in rural areas – Think Uber’s successful cross-Colorado beer delivery. As smart cities and rural areas become more connected, these two methods will begin working together to make both regions more efficient. ‘Long haul’ autonomous vehicles will bring their cargo to depots on the outskirts of cities, like Amazon’s new cargo hub in Kentucky, then workers will transfer the shipments to smaller delivery bots or drones to complete the so-called ‘last mile’ deliveries. IoT Now: Does the greater focus on smart cities mean rural connections will lag behind in the future? RG: No, for the reasons outlined above, rural areas will probably surge ahead of cities in trialling these innovative methods. Consider recent examples (Uber’s successful cross-Colorado beer delivery and Amazon’s drone delivery in rural U.K.) that point to the trend of rural areas being favoured for early implementation of next generation delivery and transportation methods. The wide-open spaces present fewer risks when trialling new delivery and transportation methods. While in test or general use, would we rather have a drone flying over a dense neighbourhood with playgrounds, schools and roadways underneath or in a more remote secluded area with farmland and open space? IoT Now: How will smart connections be used by the average person, based on location? RG: In the next few years, location will play a major role in the way next generation technologies impact a person’s life. Rural areas can expect to see an increase in driverless cars and drones, while cities will see more small bot deliveries in the near future. Regardless of exact implementation, next gen technologies will connect rural and urban areas and make sure they are truly ‘smart’ by improving the efficiency of deliveries and transportation. As delivery methods become more efficient and cost-effective, consumers may then find themselves significantly changing their buying patterns and buying more, simply because they can, which increases business. IoT Now: How long will it take for us to implement and adopt these next gen technologies? RG: Next generation technology presents an opportunity to improve our day to day lives, from less congestion on the roads to real-time deliveries, all the time. Following operational testing and addressing inherent problems (for example, the safety of a delivery drone or the decision-making capabilities of the single autonomous car), cities and rural regions will need to consider the cohesive deployment of these technologies. The greatest challenge is not ensuring the drone can make it from point A to B as planned, but rather overseeing the deployment of these new fleets to avoid a sky overfilled with drones or roads congested with driverless cars; Essentially adding to the problem we are seeking to solve.